JR Farm Meadow Harvest for rodents & rabbits! 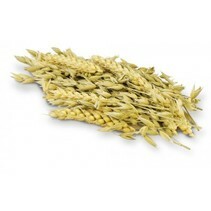 The JR Farm Meadow Harvest consists of different types of meadow grasses, delicious oats, foxtail and millet. Healthy and tasty nibble fun for rodents! The JR Farm Meadow Harvest can also be used as a decoration for a natural rodent stay. Mijn konijnen zijn hier helemaal dol op.... niet aan te slepen!